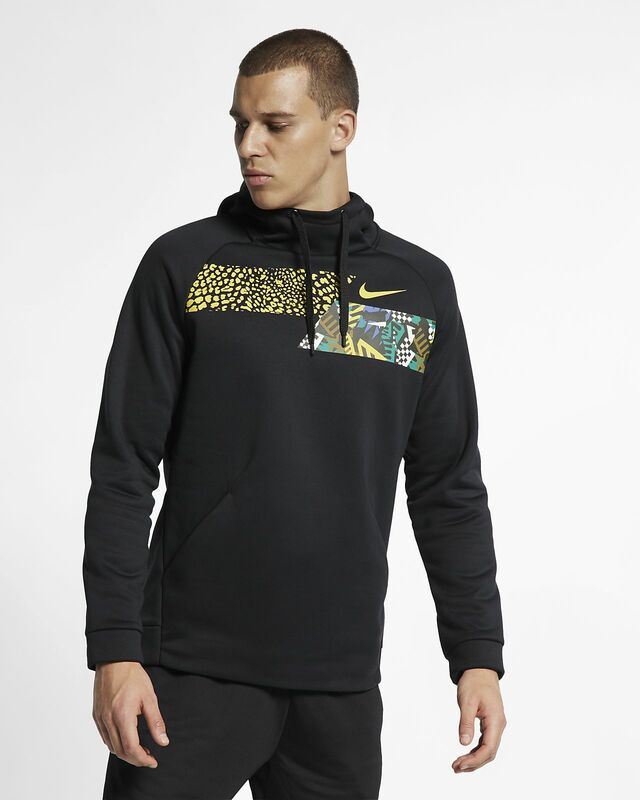 The Nike Therma Men's Long-Sleeve Training Top features a low-profile hood, exceptional warmth and comfort and a print perfect for the urban jungle. The Nike Therma Men&apos;s Long-Sleeve Training Top features a low-profile hood, exceptional warmth and comfort and a print perfect for the urban jungle. Nike Therma fabric helps manage your body’s natural heat to help keep you warm and your performance high when training in cooler temperatures. Drawcord-adjustable hood for extra coverage when needed. Have your say. Be the first to review the Nike Therma.